A nice slow-mo rock steady number from the late 1960’s. I honestly haven’t got a clue what second hand/charity shop this was bought from but this has been around the house for years and is in not the best of nick to say the least. The artist(s) were only recently discovered through the web as the label (and the vinyl!) is in a right old state. A great old tune smothered in scratches by Ewan and Jerry, not a household name here but a lovely old tune all the same. Any more info on this one do let us know. Last weekend we were away in the land of glorious sunshine, Camber Sands. You’d honestly think you were somewhere exotic what with the glorious weather there. 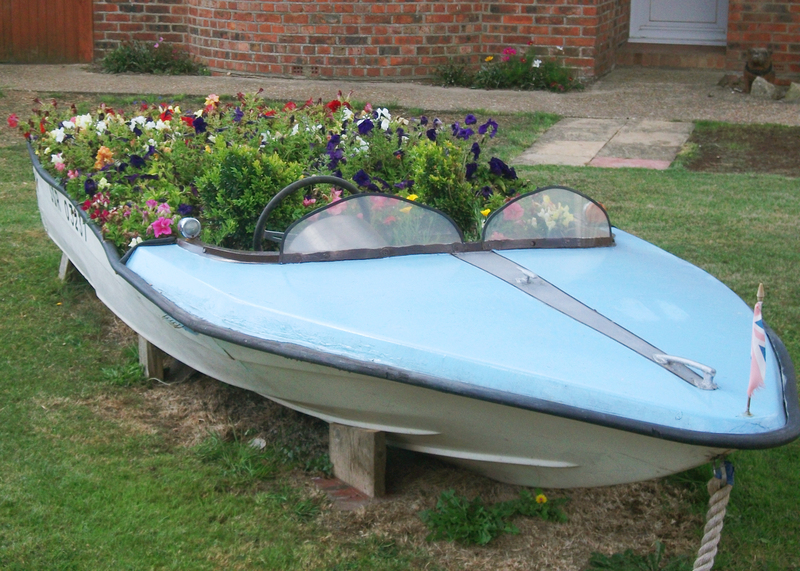 The picture above was taken down the road from where we were staying, and it’s an ingenious way to use a boat in the garden! While I was at camber I took home a carrier bags worth of seaweed to use in the garden (I’m not sure about the legality of doing that) alongside tasteful bits of driftwood, shells, stones and the odd old beer can to stick around our pond. All I got off my kids was “why are you bringing all that rubbish home for, Dad?”, brilliant eh? As soon as I got back to London I gave the seaweed a good hosing down to get the salt off and left it at the bottom of the garden. After a couple of days in the hot sun it frizzled down to such a tiny amount there weren’t enough left to use as a mulch. 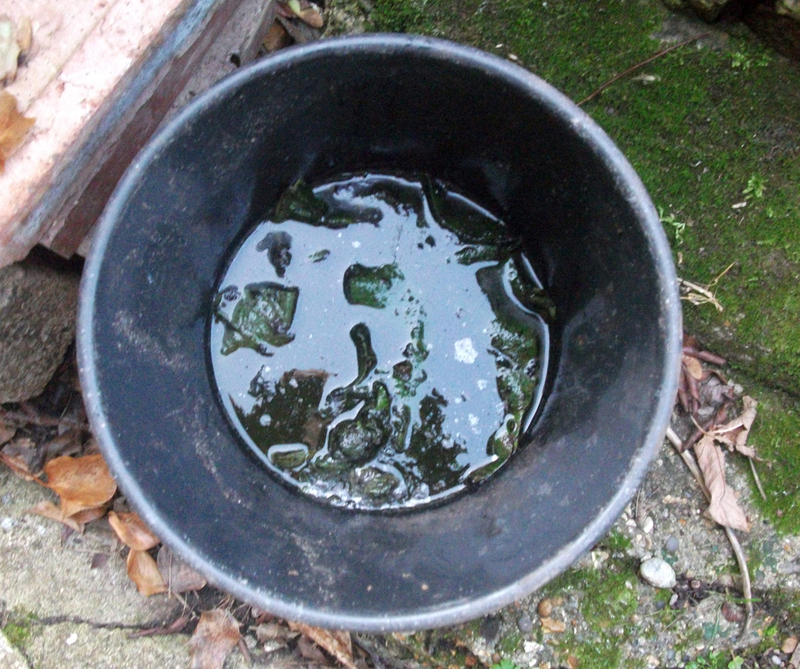 I could have always make a seaweed plant feed but as there’s already a bucket of foul smelling liquid stinking up the garden it’ll be bunged into the compost heap. Seaweed is a great compost activator and adds minerals and trace elements to the heap. Nowt wasted then! Here’s a tune that got played a few times while chilling in the sun at Camber. It’s from a while ago but a tune all the same! The garden seems to be going mad of late. The courgettes and the spuds are doing well and we’re seeing a bit of action on the climbing french beans and tomatoes. 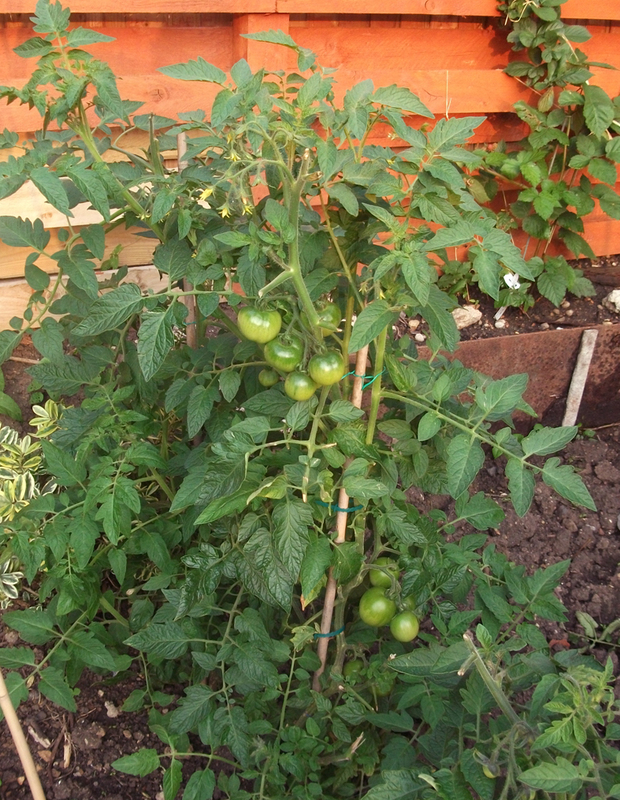 I know it’s a bit late, but here’s a couple of tips when it comes to those tomato plants. If you’ve got the cordon type ones (not the bush or tumbling varieties) make sure that the side-shoots are pinched out regularly so all the goodness can go into the plant and the production of the actual fruit. I’ve a couple of plants in the raised bed that I have forgotten to do that are now going wild and a bit uncontrollable. Also when my plants get to about four or five trusses (the sets of flowers that later turn into fruit) I nip the tops out, so again the energy will go back into the plant (but keep an eye on the side shoots a while after you do this as they will tend to go mad). I do give them a regular water but not too much and a feed every ten days. I’ve had to buy some plant feed in, as my home-made attempts are still not ready yet. 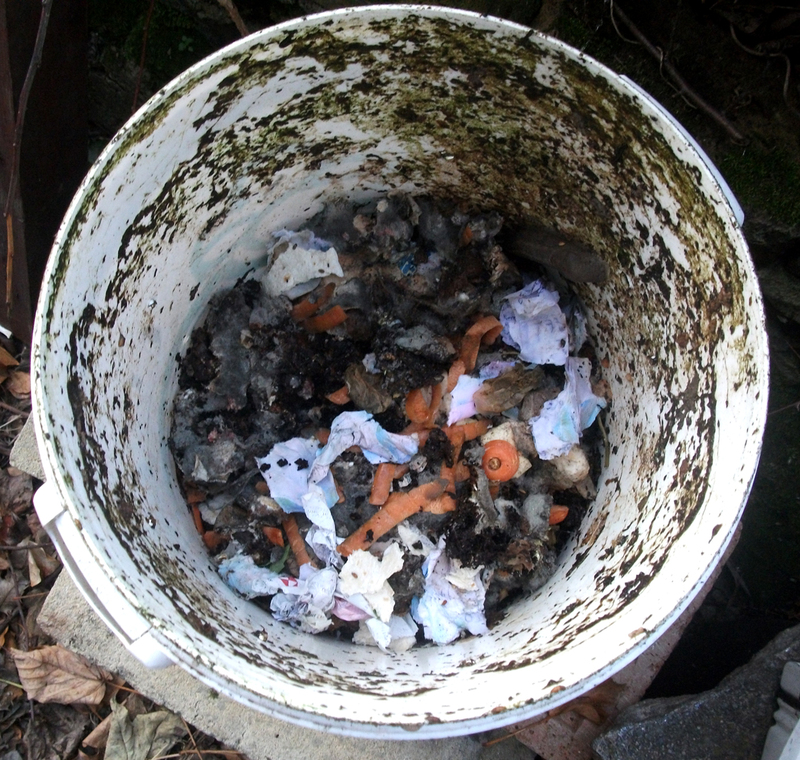 The wormery (image above not to be viewed on a full stomach!) is cracking on and there’s a build up of nice looking compost at the bottom and the liquid in the bucket below is starting filling up too. All for recycling kitchen scraps, plant waste etc! Also I have started to leave a combination of comfrey, nettle and borage leaves to rot in a small amount of water in a bucket at the bottom of the garden. It’s funny as sometimes it’s a bit like groundhog day. I go down there every now and again to have a check, lift up the slab of concrete that is acting as a lid on the stuff and have a sniff as I’m sure it’s supposed to pong a bit. A microsecond later the vile stench hits me… bang! When will I ever learn. If only the image below had a scratch and sniff and then you’ll know what I mean! Also I heard a good potato tip on a podcast called “Gardening with Tim & Joe” from a show on BBC Radio Leeds. It can be a bit like 1970’s Radio 2 at times (“what’s the recipe today Jim?” etc) but there’s some great tips to be learnt there. The other week they were talking about harvesting potatoes. It was said you should go in once with a fork to pull up what you think are all the spuds, then go in another three times and you’ll get all the spuds you’d have missed previously. Good stuff! 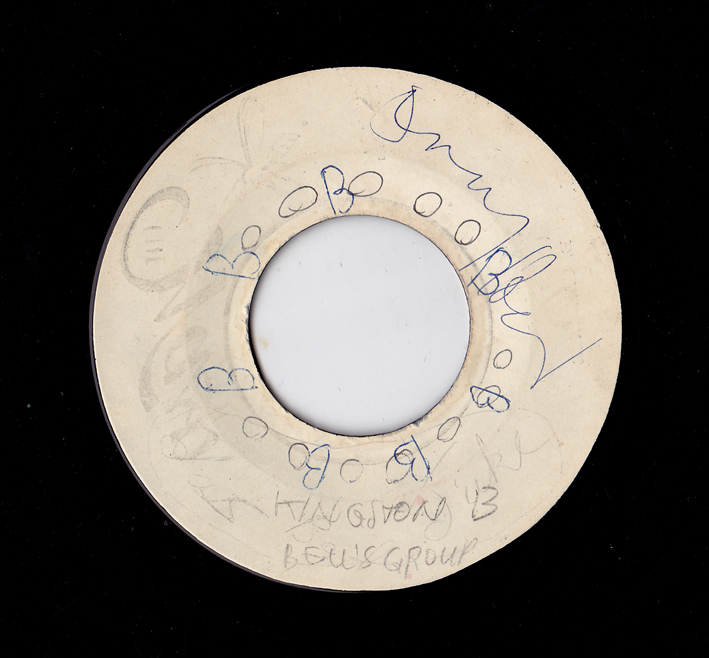 A lovely little number from the Bells group on a blank 7″ later to be released on the Prince Buster label in 1962. 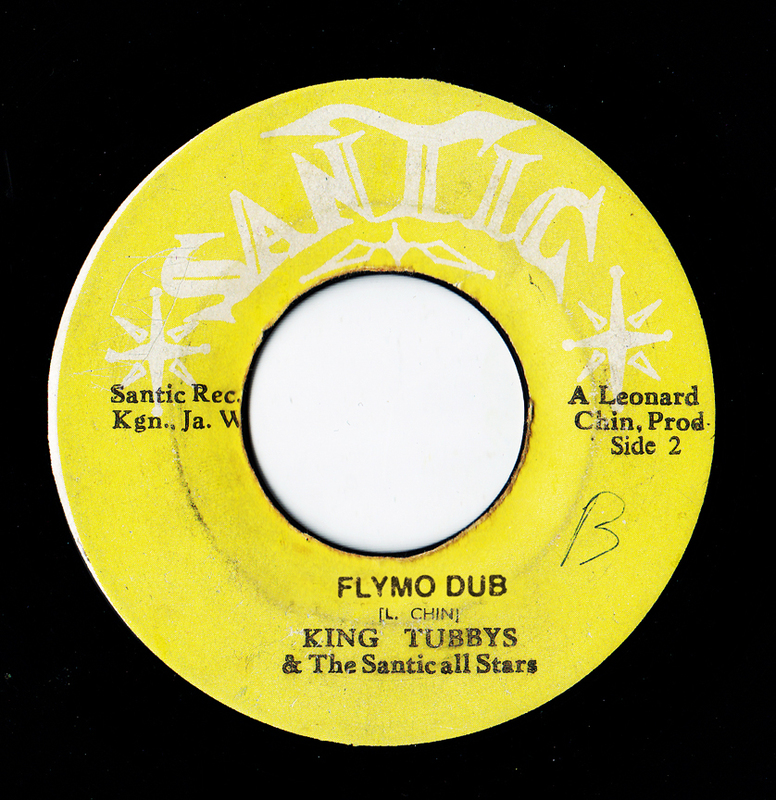 This excellent bit of Jamaican Shuffle/ RnB was found at the bottom of a box of extremely scratched singles in the back room of a Peckham nail bar for 50 pence. 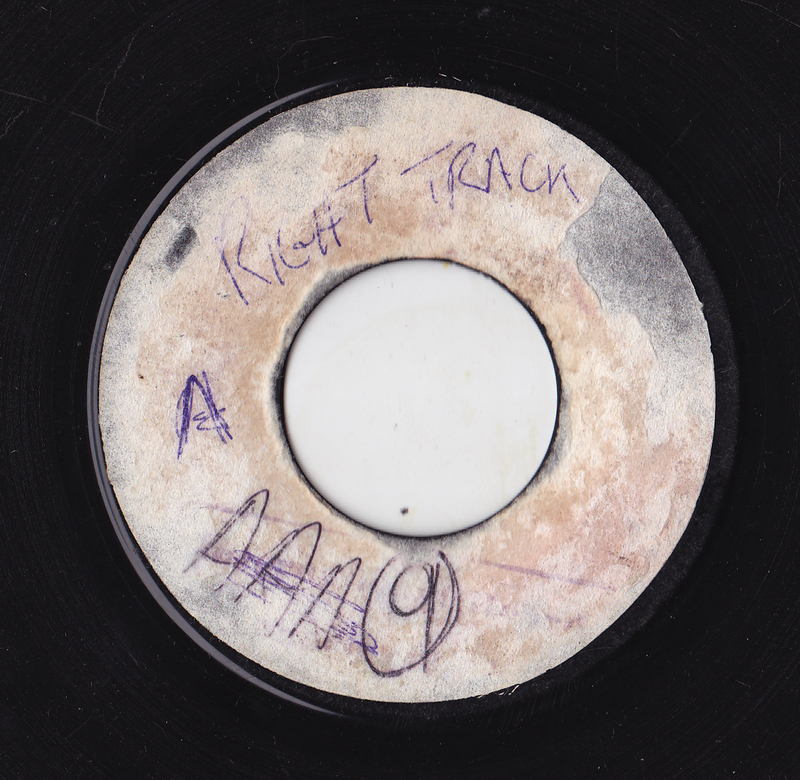 The same day I also picked up a copy of an early Wailers single on the Island label which in good nick would have been worth about thirty odd quid. The one I procured was so knackered, it looks like it’s been stood on a few times and even has a phone number scratched into the grooves. Not one to stick on the Bang & Olufsen! I heard this on a strongroom alive podcast this week and it’s been going around my head since. A nice atmospheric tune with a warped vocal which builds into a bit of a bonkers monster! One to play while watching Jamaica taking all top three positions in the 200 metres on replay on the telly (with the sound turned down) again and again. Big up to the Jamaican runners for loving the people of Birmingham! 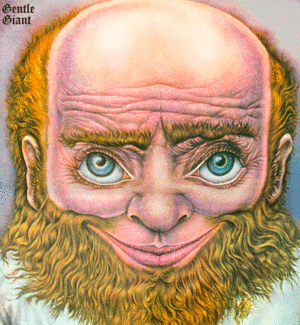 More Genesis, Floyd, Jethro Tull, Yes? Not arf! Thanks to Will for sending this youtube clip that features the permaculture king, Mike Feingold in his allotment. He looks a right old character with his bonkers hair and overalls, but knows a thing or two about gardening. He even has a roll-up on the go while showing people around his polytunnel. That’s not healthy is it? Anyway seeing this clip reminded me of a bloke I used to know in my late teens in Coventry. He was about the same age as Mike Feingold then, always wore a green boiler suit, had ginger hair in a ponytail, and loved the band Gentle Giant. He was a lovely bloke, lived in bedsit, always had a pot of tea on the go and his door was always open for visitors. He wasn’t overly keen on the work ethic though and had his unemployment benefit stopped for a while after an interview with a dole office official when he said “getting a job would interfere with my social life”. Not a great thing to say in a interview with the dole! Wonder what he’s up to now?